When it comes to footwear in the warm weather season, it is all about keeping cool. You want a style that is light, bright and versatile. From suede loafers to desert boot, here are the best shoes to get through summer! When it comes to shoes for hot weather, these are just right. Chukka boots and Derbys are menswear must-haves that can be dressed up or down and paired with or without socks! Try our chukka boot Edward, in soft suede with a durable crepe rubber sole or our Tyler shoe in light and breathable suede - They are pretty much the perfect all-around summer shoes. A summer look is all about a relaxed vibe and nothing is more laidback than minimalistic kicks. This season we presented Dean leather sneaker, Cole suede sneaker, Adam leather sliop-in, Josh nubuck sneaker and Liam suede desert sneaker. Whether you are looking for a classic, sporty or raw style, the collection has something for everybody. 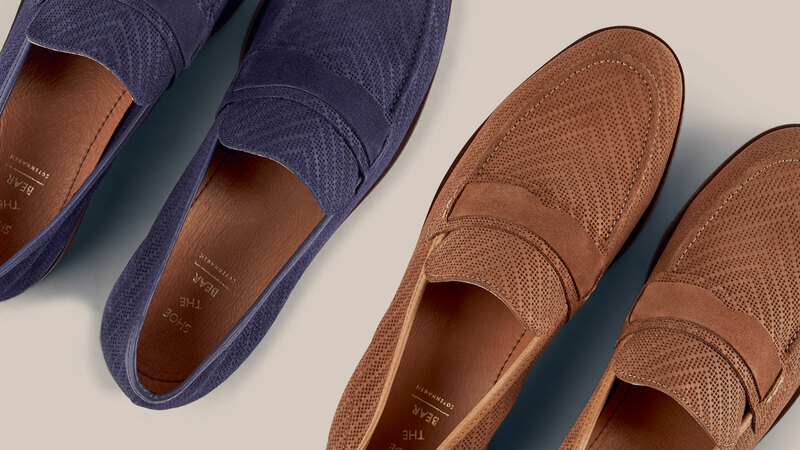 Loafers are the perfect summer shoes! They are especially great if you are on the look for summer work shoes, as they have a great look but aren’t too formal. Men’s suede shoes are apt for summer, and loafers are the best style for this material. This season we gave you guys, Dylan. A casual and versatile men's loafer that goes perfect with your everyday wardrobe or with your dress pants for finer occasions. Made in fine suede, with solid tunit sole for great comfort.